I believe in happy endings, but before you dismiss me as a romantic, let me clarify. A happy ending isn’t limited to times when you get exactly what you want. A happy ending doesn’t mean there’s no darkness on the horizon and it definitely doesn’t mean nothing bad is ever going to happen again. A happy ending is simply this: in the end, there is some possibility for redemption, a glimmer of hope that all is not lost. I don’t know when we started to lose our capacity for hope as a nation, but it seems to me we’re on our way and in some Western societies, they’ve arrived. The Washington Post ran a commentary this week by Michael Gerson, which described the practice of euthanasia in Belgium, a (seemingly) civilized society. When afflicted with a serious, or terminal illness, it is a basic right in that country to have assistance in carrying out your own death. The Belgian courts recently extended that right to prisoners with mental illnesses, saying in essence, if you don’t want to be alive, who are we to stop you? In fact, it’s our moral and legal obligation to help you. My heart dropped as the writer considered the implications of the ruling. At what point is mental illness considered terminal? At what age do we give up hope for successful treatment and recovery? At what point do we start believing that the “right” to commit suicide when facing cancer, dementia, Parkinson’s, or the like, is actually a duty, or obligation? At what point do ailing individuals feel like they must act on the perception they are taking up too much space and time in their homes, or society? At what point past our prime do we become undeserving of our space? In the last year alone, 1,800 Belgians exercised their right to die, up 25% from the previous year. Are these numbers a sign of a need that was previously unfilled, or of a society who has lost their cultural belief in happy endings? When everyone surrounding you believes that who and what you are in this moment is all there is, then you are in trouble (and so are we). The one who is suffering cannot be relied on to see the route to healing for themselves. That’s asking too much of them, to carry the burden of their pain and the weight of possibility as well. It’s our obligation to hold that hope for them. We may not feel like happy endings are real, but we’d better believe it anyway, because it’s the only hope for our future. A happy ending says that when everything is lost, something can be gained. When we are broken, something new will be made. When all is dark, it’s because we can’t see the light, not because the light doesn’t exist. While we are well, we need to repeat these truths to ourselves over and over again, so that we can remember them when the bad days come. Every day, in public schools across America, kids recite the Pledge of Allegiance, claiming that our nation is “indivisible, with liberty and justice for all.” It’s a good thing too, because the evidence to the contrary is everywhere. It doesn’t always feel like our country is on the right track, but our common belief in those foundational values allows us to press on and reach for our higher selves, instead of giving up on the system. We need to bring that same level of commitment to the way we value life itself, not just the structures that govern it. As individuals we can’t believe in happy endings all the time. That’s why we have to believe in them as a society, as families, as parents and spouses and siblings and friends. We have to talk about them, share them, celebrate them. We have to saturate our culture with the knowledge that just because we can’t see the way out, doesn’t mean it isn’t there. I find it discouraging that so much of our cultural conditioning leads us to believe that ‘happy endings’ are for fools and fairytales. Happy endings are for fighters too. Like Winston Churchill, I believe that we can “never, never, never, never give in.” But Belgium has. In the name of choice, they’ve lost sight of our collective human responsibility to struggle together to make meaning from our lives and our deaths. I am not unsympathetic to those in mental and physical pain. I would never make a blanket judgment about someone’s obligation to live through unspeakable suffering, or the choices they make in those moments, hopefully surrounded by loved ones. But I want to make my stand on the side of hopefulness. James Finley, one of my teachers, commented recently, “Few people in hospice recover, but many people in hospice are healed.” Healing, of any kind, is a happy ending, for those who are leaving and those left behind. Ultimately, a happy ending isn’t primarily about how we face the end of our lives, though that’s what got me thinking about the subject. A happy ending is about how we face the disappointments we are handed each and every day: the too-small bank account, the unflattering gossip, the college rejection letter, the nasty fight with our spouse, the team our kids didn’t make and the friends who don’t want to play. Do we believe something good can come from this bad? No matter how many movies, books and songs try to convince me otherwise, I believe in the power of happy endings. When I look the “bright side,” it’s not out of naive optimism, or willful ignorance. It’s an intentional choice. How else will I meet those final challenges without a daily practice in the hope I claim? 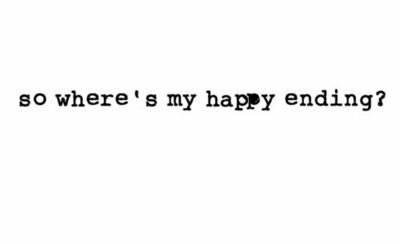 Where is my happy ending? Right here, wherever I am. Posted in Self-awareness and tagged as Belgium, euthanasia, Gerson, happily ever after, happy ending, Michael, post, suffering, Washington. Ali, the Chris Kellys’ and I saw Molly yesterday at the Shores at her party! What a lovely young girl she is, so sweet and a wonderful communicator and seemingly so well liked by her peers. It was a treat to see her socially .. you and Tim have done a wonderful job raising her, kudos !!!!! All my love, Gretchen. You’ve given me a big lift and some very good ideas to think about, Ali. Thank you. I’m glad that my thoughts brought something good to you Sue. Hope to see you soon. A lot of people interested in writing or reading are rejecting the idea that happy endings are “immature” too 🙂 …I’m not a fan of euthanasia either, I have seen someone with terminal cancer recover with cannabis oil (because of me); and the reason why vets have the highest suicide rate is because of having to kill pets. But my definition of healing is not dying, because I don’t believe in compromising on high standards when something as sacred as a life is involved. Your thoughts are timely, as I’m in the process of making the decisions for my end of life health care directives. Earlier this year we had to honor my fathers choices made in his own directive as he passed following a series of strokes. Choices I believe he made with his loving concern for us in mind. Even in this he never gave us reason to doubt his unconditional love for us. Similarly, our “gift of choice” was given by the creator of unconditional LOVE. Thanks Kristen. I haven’t read Me Before You yet, though I’ve heard of it. It’s a difficult and complex issue, which goes undiscussed so much of the time.